Since I was a little boy the tragic story of the Northwest Passage had been seizing my imagination completely from time to time. Those hundreds of years full of tales on the searching this shortcut from Europe to Asia. A treasure trove full of gripping stories, most of them being filled with drama, tragedy and fallen heroes. As the bulk of these tales takes place between the late 16th century with legendary John Cabot, sparking a 500 year long desperate search for the passage, producing heroic tragedies sparkling with great seafarer´s names like Corte-Real, Martin Frobisher, William Edward Perry, poor Sir John Franklin, McClintock to finally lucky Roald Amudsen, there´s a book beaming this adventurous undertaking in our present time. 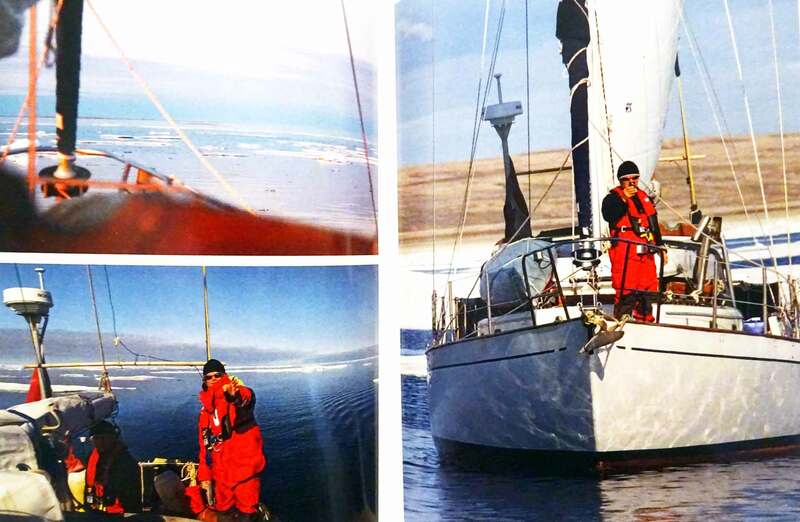 It´s a story of navigating the Northwest Passage in a modern-day GRP sailing yacht. And yet, it´s much more than that. Story is simple told: Cameron, being a journalist working in Asia carries the idea to navigate the Northwest Passage for years. At some point he decides to just do it, returns to Canada from Hng Kong where he accepts a job working for a newspaper and begins to make his dream come true – in secrecy. Long tedious hours of working, organizing, finding sponsors and planning the route leave marks on Cameron when he arrives in his office, tired and not really able to fulfill the requirements of his job. Anyway, somehow he makes it, gets his boat, the SILENT SOUND sloop and does recruit a crew of two German fellows and a Canadian woman. That´s how it all starts. SILENT SOUND casts off in Victoria, sails to Dutch Harbor in Alaska and enters the notorious Northwest Passage, trying to negotiate it from West to East. In the end, they´ll make it to Halifax, Nova Scotia on the Atlantic Ocean. In between, it´s an incredible worthwhile read, switching from sailing stories, an expedition´s account of nature and natural observations, social and cultural accounts of the Inuit and – and here the book is virtually unique – an account of the effects of global warming. There´s not one single passage which is particularly striking. I would rather say, it´s this very unique mixture of telling sailing stories and Cameron´s ability to observe with sharp eyes and write down with precise words. 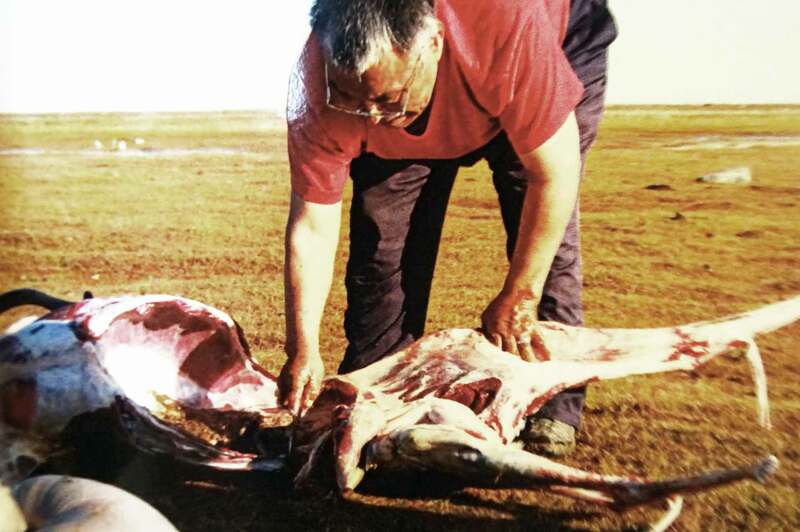 What struck me most have been the chapters on Inuit life in the Northern Territories, their (slowly vanishing) culture, habits and traditions. All getting erased by Wouthern, means “Western”, way of life, alcohol in particular, the struggle for money, the impact of oil and gas activities and the clash of southern law, system of rules and expectations with Inuit and aboriginal traditions. This is, where people are torn between two societies, two very different systems of value and – the most tragic stories – can´t rely on their traditional hunting way of life anymore on the one hand but cannot life off from a normal paid job on the other hand too. Cameron observes and describes, interviews and talks and sometimes let speak things for themselves. It´s a book which is read in a few days as it is excellently written and bristles with great variety of worthwhile stories. What I really like about the book. 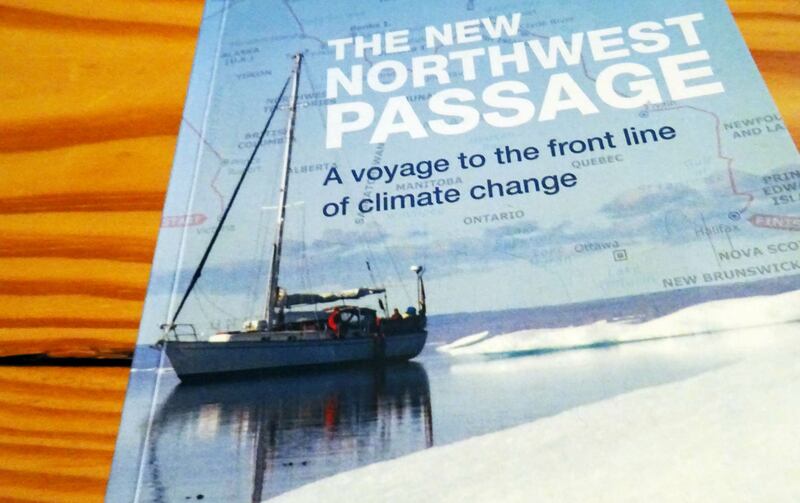 What I liked most is that I´ve learned a lot about navigating the Northwest Passage with a yacht. Not a special purpose made Aluminum-expedition boat but a very ordinary classic GRP yacht (though with a reinforced bow). 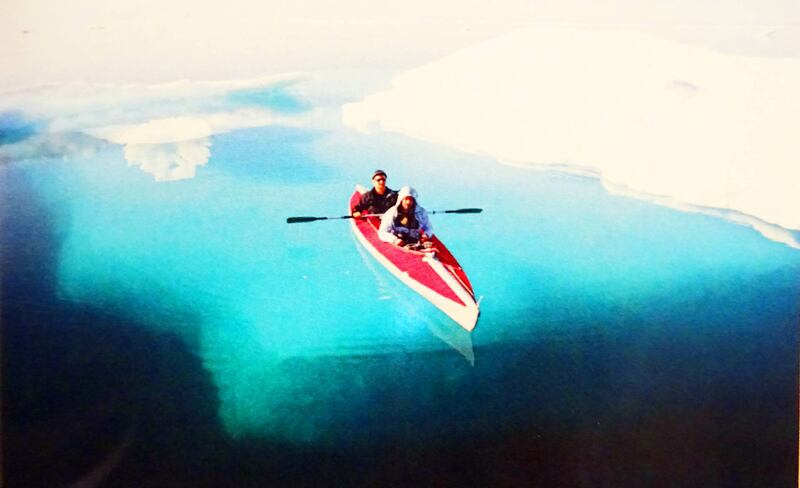 That´s cool because one can imagine doing this by oneself one day as well – not necessarily needing a high-end-boat. Second, I loved reading about climate change without pointing fingers all the time. Cameron is not a loud environmental activist, not a strict believer and stubborn fighter. He describes the subtle changes potentially caused by warmer temperatures such as Southern species suddenly appearing, vanishing Arctic species, weird behavior of the ice and all those small stuff going on there. Which of course is far more effective than just yelling at people that climate change will kill us all. In the end, “The New Northwest Passage” is far more than a sailor´s account and the gripping story of a yacht navigating the northernmost route from the Pacific Ocean into the Atlantic Ocean, it´s a brilliant read covering natural phenomena, socio-cultural observations and a firsthand look on what climate change and global warming really mean for nature, for people and their way of live. An absolutely recommendable book, you may browse to Cameron´s Website to obtain latest information on his projects here.